I hope everyone on the East coast weathered Irene okay! We had a few leaks to deal with (and now drywall damage), but that was all so I feel pretty blessed. While cooped up in the house during the hurricane, I enjoyed looking through all of your links. Here are some of my favorites from the party! Click on the link or the picture to be taken to the original post. 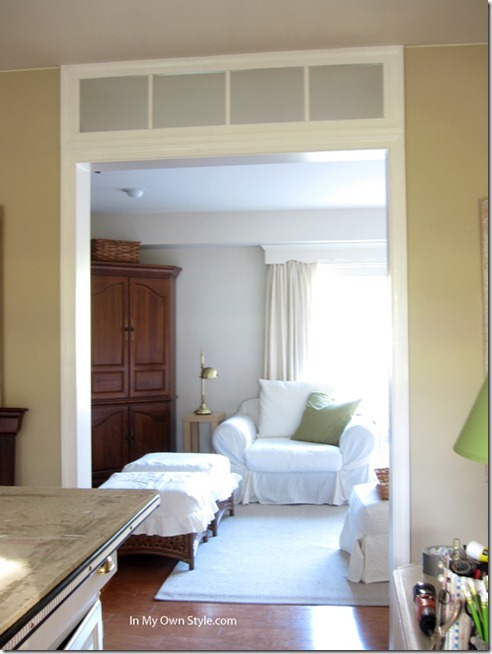 How to Make a Fake Transom Window by In My Own Style. Old Shutter Becomes Bathroom Countertop by Cleverly Inspired. 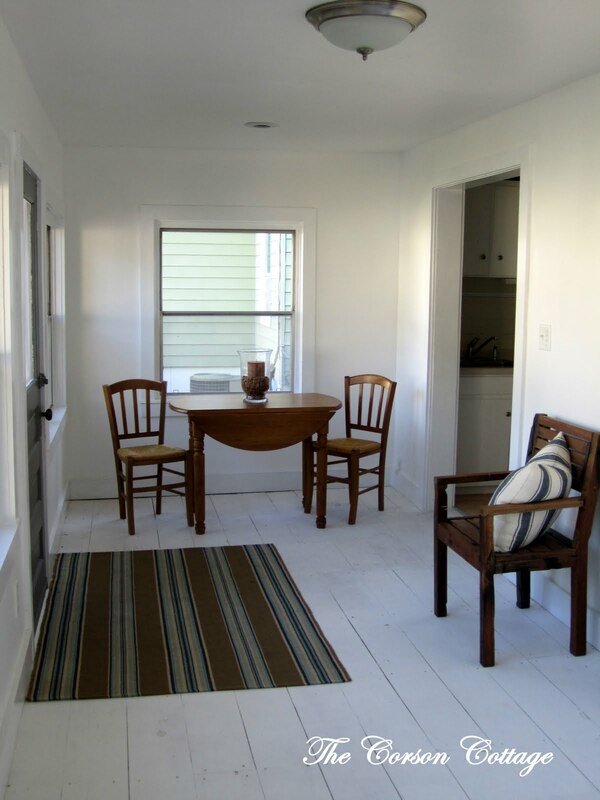 DIY Whitewashed Plywood Floors by The Corson Cottage. Bar Cart Makeover by She’s No Martha. 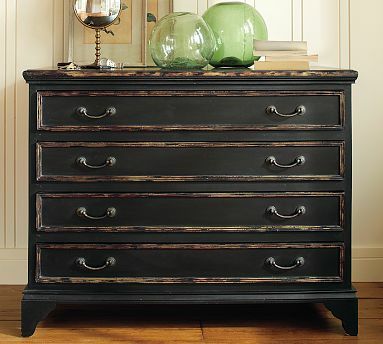 How to Achieve Pottery Barn Black Finish by The Yellow Cape Cod. Lima Bean Wreath by Lil Pink Pocket. Make Your Own Slippers by Life for Dessert. Sew Easy Napkin Pillows by Eat. Sleep. Decorate. 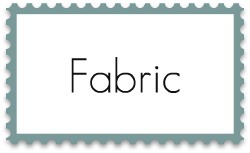 Envelope Pillow Tutorial by Texas Cottage. Scrappy Table Runner by Cheap Chic Home. Use Silica Gel Packs in Apothecary Jars (to keep live pumpkins and gourds fresh) by The V Spot. 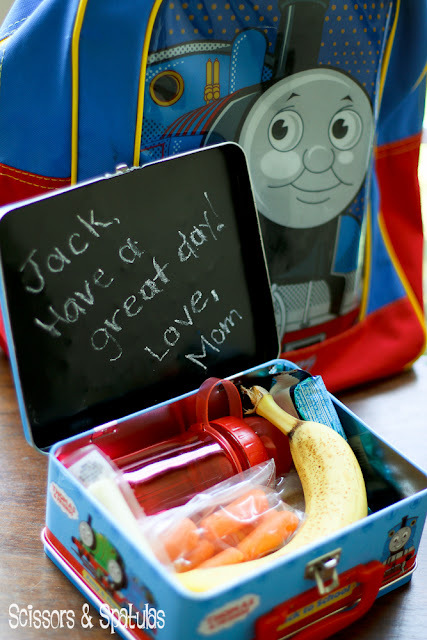 Back to School Chalkboard Lunchbox Tutorial by Scissors and Spatulas. 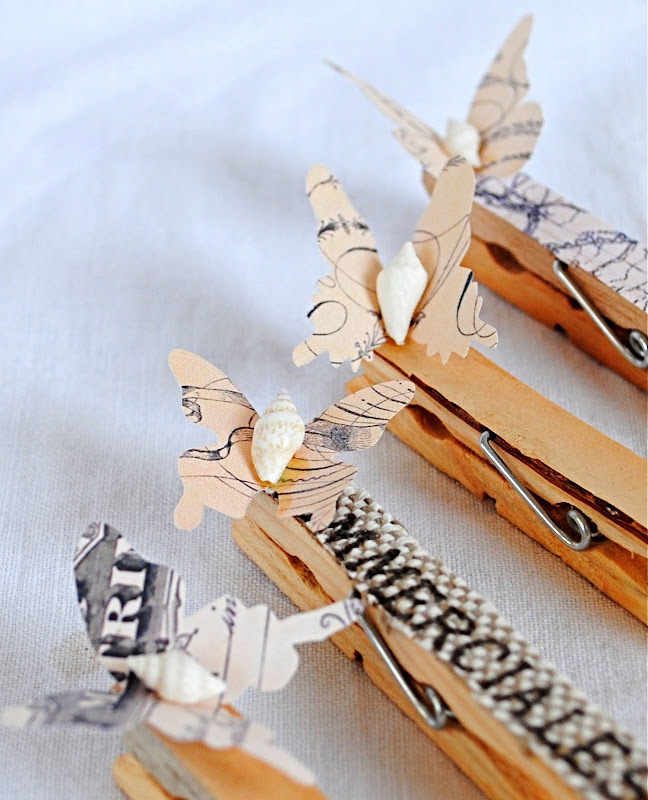 Butterfly Embellished Clothespins by OC Cottage. DIY Star Nursery Mobile by Beauty 4 Ashes. 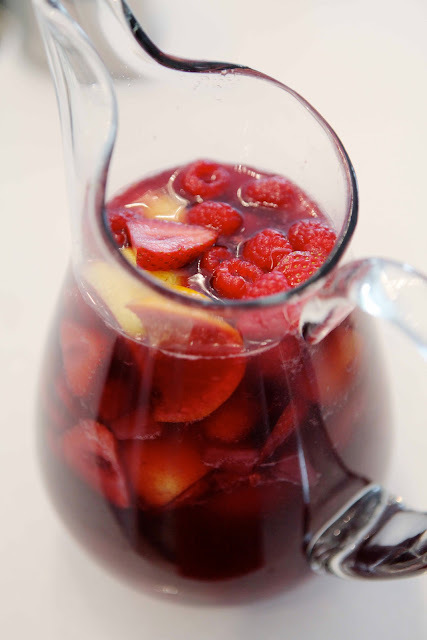 Sangria Recipe by Beach House in the City. 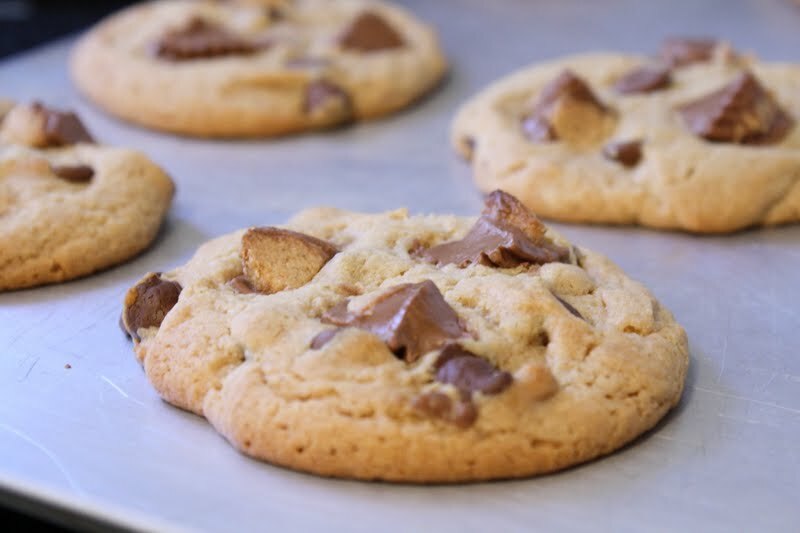 Chocolate Chip PB Reese’s Cup Cookies by Sweet Little Smoothie. Star Wars Themed Party Ideas by Nuchey’s Mommy. 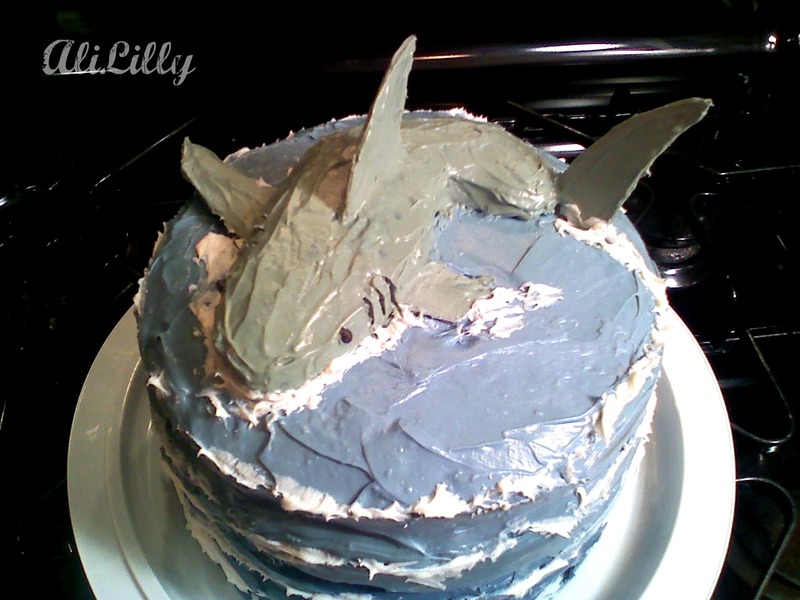 Shark Cake by Ali Lilly. You all are amazing! Thanks for linking up and I’ll see you tonight around 10pm EST for tonight’s party :). This Black Chest is fantastic! I love the weathered look. Great work! Hi Beth – Thanks so much for the feature and for hosting the party each week so all of us blogger’s have a place to find inspiring ideas. 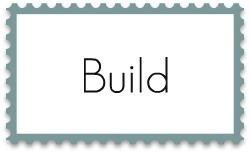 I like the way you organize and label your feature picks – Build, Fabric, Paint etc. Nice!!! What great ideas! Glad your hurricane damage was not more severe, Beth. Thanks so much for featuring my lunchbox notes tutorial! I’m with some great company! Great features this week! That sangria makes me thirsty! I’m back online after 36 hours of zippo from Irene and what better way to come back online and see my “little star wars” party on your site! 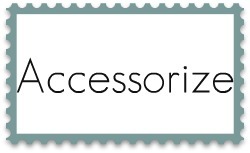 You rock for featuring my first link up! XO! I was thinking about all you East-Coasters this weekend! Earthquakes and Hurricanes! Yipes! I am glad you all are relatively unscathed. 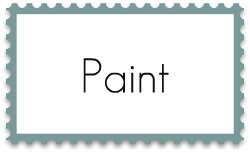 The drywall that got messed up wasn’t your new stencil in the entry way was it….?! Good stuff, my dear! That transom mirror is brilliant, eh? Good picks! Beth: Thanks so much for including my Bar Cart! I am overloaded with new ideas based on these tips…UGH, there isn’t enough time in the day! 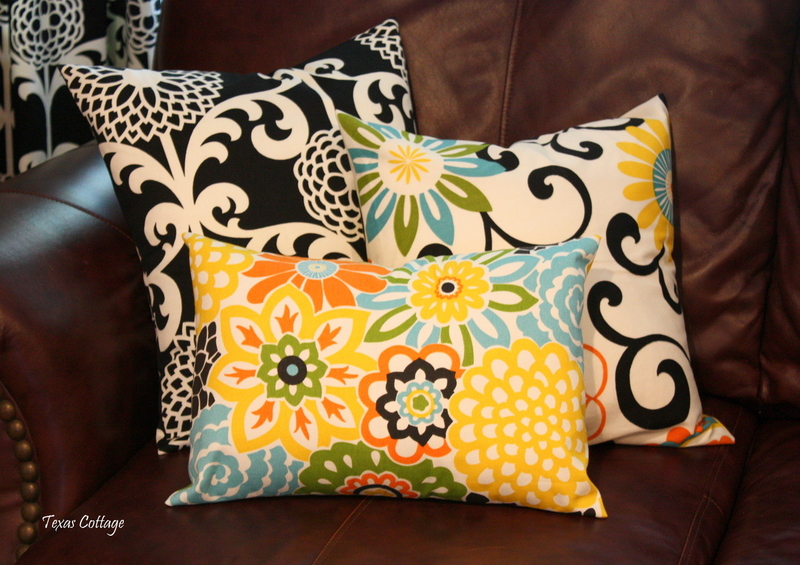 Beth, thanks for featuring my envelope pillows tutorial. I am in such good company! I love the table runner, the slippers, and the lima bean wreath. There are so many talented women in this world!